This week’s biggest 4G news is Reliance Jio Infocomm has applied for unified license to offer any type of communications over its 4G/BWA spectrum won in 2010. That means Reliance Jio can offer voice and messaging services as well as data services over its 20MHz of 2300MHz spectrum. Govt recently has come up with unified license policy to open up new opportunities to telecom sector of the country. The new policy will delink the spectrum from the license to offer different services. Reliance Jio, a subsidiary of Reliance Industries will pay Rs 1,658 crore to the department of telecommunications to get unified license. There are another two companies applied for unified licenses. One is probably Tikona Digital Networks. Reliance Industries’ retail subsidiary Reliance Retail has become the country’s topmost retail chain. Earlier country’s retail market was dominated by Future Group. I earlier predicted that RIL may use its Retail chains as launchpad as well royalty programs for promoting its 4G products. It seems RIL is going this way. Rancore Technologies, the technology and development arm of Reliance Jio Infocomm has announced a deal with TranSwitch, a global leader in IC production. 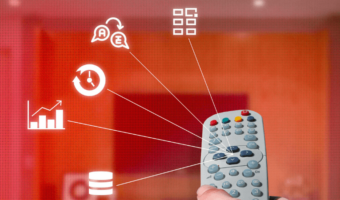 TranSwitch provides innovative integrated circuit (IC) and intellectual property (IP) solutions, which help the customer and network infrastructure segment in delivering core functionality for video, voice and data communication equipments. Rancore will use TranSwitch’s Atlanta 80 communication processor to launch Reliance’s next generation broadband services. The processor will enable Rancore’s new analog terminal adaptor (ATA) to support multiple services and applications simultaneously, including 4G high-speed data and high quality Voice over LTE (VoLTE) (Long-Term Evolution) without undermining performance. Additionally, the processor will offer 100 Mbps wire speed router throughout for Ethernet frames and will support virtual private network (VPN) services as well. 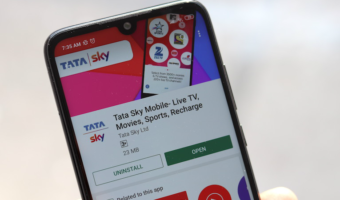 Country’s largest mobile operator and first 4G-LTE operator, Bharti Airtel continues expanding its 4G market, as Delhi is probably their next 4G market. If all go right, Delhi, country’s one of the most lucrative data market will get Airtel 4G by September. There is strong rumor in the market that Google is looking to enter India’s high-potential-but-yet-to-mature data market. As per reports by EconomicsTimes Google Capital is in talks with Tikona Digital to buy a stake. 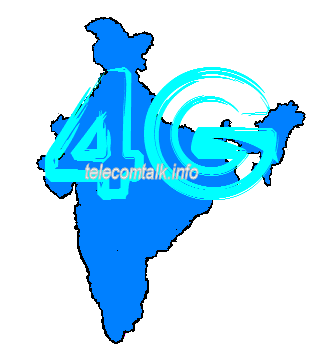 Tikona has 4G licences in Gujarat, Uttar Pradesh East and West, Rajasthan and Himachal Pradesh. The publication also reported that Yahoo and Microsoft are also showing interest to buy shares in Tikona. But officially no one confirmed this development. If Google-Tikona deal materializes, it could change India’s digital landscape considering Google’s Fiber services in United States. However we guess it’s very early stage to forecast anything. 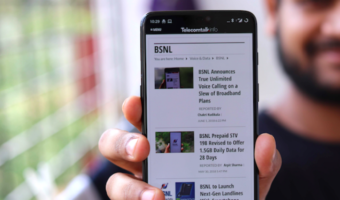 Videocon mobile services is in an advanced stage of discussion with Nokia Solutions and Networks (NSN, earlier Nokia Siemens Networks) to roll out 4G services. Videocon has 5 MHz spectrum on 1800MHz band in 7 circles and will use FDD-LTE technology to offer 4th generation high speed internet access over this band. Videocon expects to start roll out of 4G services by the end of this financial year in a phased manner city by city based upon the market potential. “We are known for providing value for money to customers. Our tariffs for 4G will be among the lowest in the country,” said Arvind Bali, director and CEO, VTL. Huge 1800MHz Spectrum Sale Coming: FDD-LTE Dominance? Govt of India is in plans to put up 285 MHz spectrum of 1800 MHz in next auction as Supreme Court asked to sell all spectrum released by February 2012 license cancellation. However 285 MHz spectrum is available separately across 22 circles. But with unified spectrum and license policy many operators are definitely use this band for rolling out 4G services. Idea and Vodafone, major telecom players without any BWA spectrum may look into it. Globally LTE-FDD over 1800MHz accounts for more than one-third of total LTE roll out; hence ecosystem is better than any combination. Nokia is gearing up for upcoming 4G device market in India. Globally Nokia has launched several 4G smartphones – but those handsets are compatiable with HSPA+/DC-HSPA+ or FDD-LTE technology. But Indian 4G operators are using LTE-TD technology. It seems that Nokia is in talks with Indian 4G operators to bring LTE-TD smartphones. Recently the company launched two new Windows 8 smartphone – Lumia 925 and Lumia 625. Nokia, the fallen king before Android dominance is offering EMI and buy back options to promote Windows Phone 8 smartphones. Nokia’s Lumia 520 becomes cheapest WP8 smartphone at Rs 8500 approx. Karbonn Mobiles, another Indian handset company has expressed its plans to bring 4G devices to Indian market. Earlier Micromax and Lava (and its premium sub brand Xolo) also cleared the fact they will not leave no stone untouched and will eventually bring 4G/LTE devices as the ecosystem becomes stronger. With attractive pricing in a price-sensitive market domestic handset companies are putting international brands like Samsung, Nokia, LG, Sony in a tough turf. @ RDB : Which Bands / Frequencies will be used for 4G in India? Reason for asking : There are many variants available in different Mobile Handset each one working on separate Bands / Frequencies.